It’s day 17 of Blogtober and today’s prompt is “quick hide the wrappers – #chocolateweek”! I’ve decided to share “Ten facts about chocolate you may not know”. #ChocolateWeek is definitely one of those “weeks” which are a bit unnecessary, in my opinion. I don’t think we need to raise awareness of chocolate, but I guess today is a good excuse to celebrate it! 1). White chocolate isn’t actually chocolate! It doesn’t contain cocoa solids or chocolate liquor, so white chocolate isn’t really classed as chocolate. It does still contain parts of the cocao bean though – mainly cocoa butter. 2). Cocoa and Cacao are the same thing! One just sounds posher than the other! 3). There is caffeine in all chocolate – Most bars have around 10 milligrams of caffeine in them. Some dark chocolate bars can have as much caffeine as a cup of tea – that’s slightly more than a can of Coca-Cola! 4). The largest ever chocolate bar weighed a record breaking 5,792.50kg. It was made by Thorntons, to celebrate their 100th birthday! 5). There’s probably bugs in your chocolate! The average chocolate bar contains around eight insect parts. According to the USA food & drug administration, it’s safe for human consumption as long as there’s under 60 insect parts per 100g! Nice! 6). It takes 400 cocoa beans to make 1lb of chocolate. 7). The first ever “chocolate bar” was made in 1847 by none other than The Fry’s Company in England! 8). Chocolate is made from cocoa, and the cocoa bean was so valuable, it was used as currency by the Aztecs! 9). The first Chocolate Easter Egg in the UK was produced by Fry’s in 1873. Cadbury’s followed suit in 1875. 10). Fry’s who were the first UK company to make both chocolate bars and Easter eggs merged with Cadbury in 1919. How many of these facts did you know? Have you got any interesting chocolate facts to share? 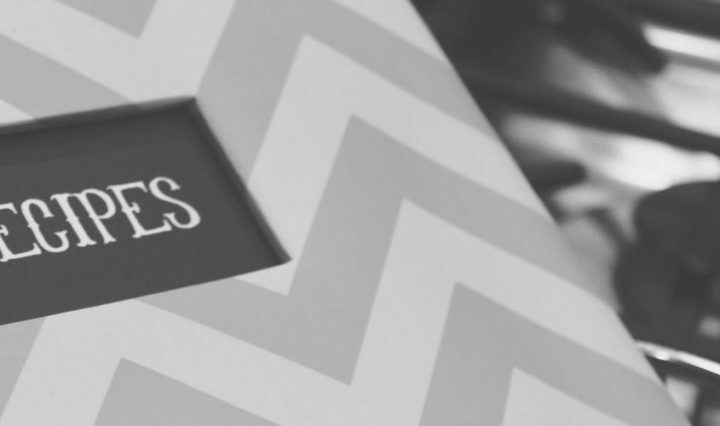 You can check out my other Blogtober posts here. 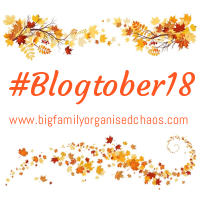 You can also find blog posts from other bloggers via the Big Family Chaos linky. So just click the badge below. Loved this post! Going to try and use fact #6 to put me off eating it when I’m trying to stick to my diet lol!